From Nero to Professor Robert Levin (editor of this journal), people of prominence have been intrigued with the effect of music on human emotions and development. Longwood Symphony Orchestra, whose aim goes beyond making fine music together to finding ways to aid the community, like donating concert proceeds to social organizations, has an additional role this coming weekend. In partnership with The Laboratory at Harvard, a new forum and platform for idea experimentation in the arts and sciences at Harvard University, the symposium will explore the intersection between music, science, and medicine through a series of talks, panel discussion, and a chamber music concert by the Longwood Symphony Orchestra. Some of the speakers are members of this public-spirited music organization. 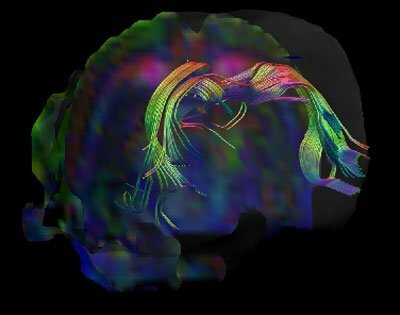 * How does music shape the developing brain? * How can music aid recovery from neurological disorders? * Can music be a way to overcome limitations and enhance function for individuals with autism? The morning session, from 10 am to noon, on Music and Brain Development, will look at the benefits of music on language processing and learning skills and on cognitive development in infants to teenagers, with Nadine Gaab, Ph.D., Children’s Hospital Boston and Harvard Medical School; Nina Kraus, Ph.D., Northwestern University, and Laurel J. Trainor, Ph.D., McMaster University. The Longwood Symphony Orchestra will provide chamber music concert at the noon luncheon. The afternoon session will address Music and Rehabilitation, looking at the role music can play in brain rehabilitation, and for veterans recovering from severe injuries, with Gottfried Schlaug, M.D. Ph.D., Beth Israel Deaconess Medical Center and Harvard Medical School, and Arthur Bloom, Musicorps, Renovation in Music Education. At 2:45, a panel will address the question, “What can music do for individuals with autism?” moderated by Andrea E. Spencer, M.D., Massachusetts General Hospital, McLean Hospital, and also a member of the Longwood Symphony Orchestra. Since 1991, Longwood Symphony Orchestra has used every concert as a benefit for Boston’s medically underserved and organizations supporting medical research. Since the inception of the Healing Art of Music™ program, LSO has collaborated with thirty-seven different medical nonprofit organizations.